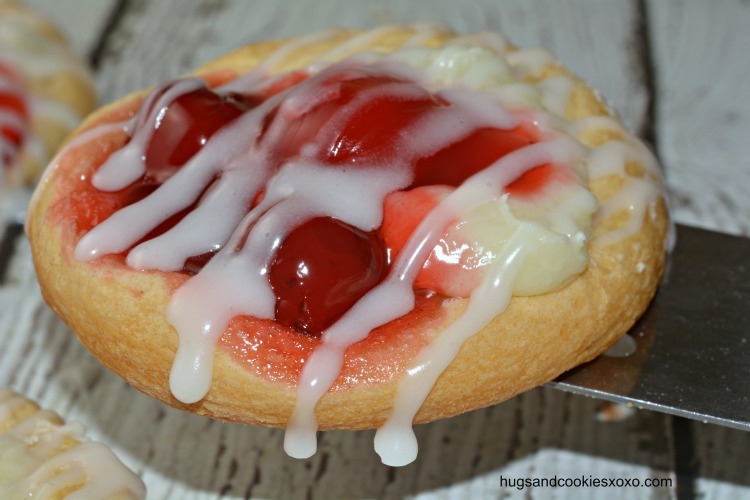 Cherry cheese danish, oh my! These are easy and delicious!!! 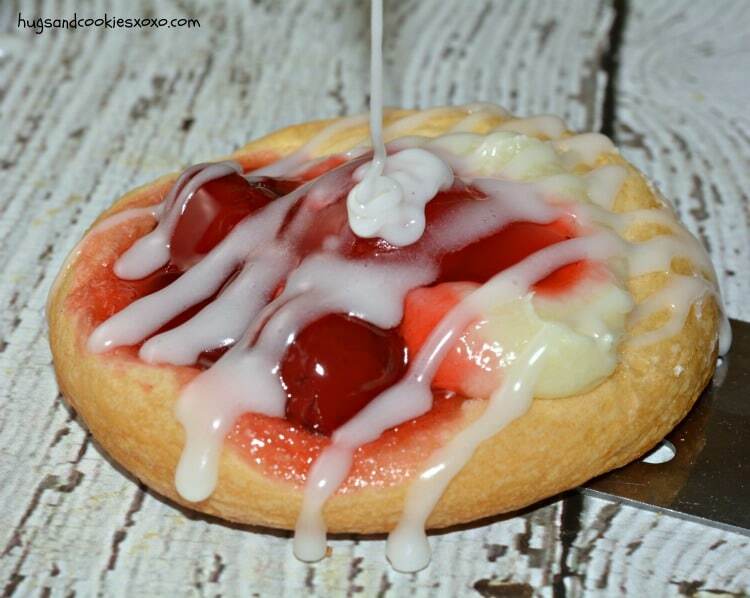 If you love cherries and cheese danish then you must try these out! In 20 minutes you will be enjoying a nice warm danish with some coffee/tea! The filling on these is superb and loved by all who eat them. They also come together so quickly you can whip them up on any lazy Sunday morning! Open container of rolls and do no unroll them. Use a sharp, serrated knife to cut through them like slice/bake cookies. Make 10 slices. Lay each slice on a parchment lined cookie sheet. Use a measuring cup to flatten each roll out and build a small wall around the edge. Use a drop of flour to prevent sticking and press with your fingertips, too. Electric mix cream cheese, sugar and vanilla until smooth. Dollop a small amount into each "danish." Add a teaspoonful of cherries. Combine milk and sugar and drizzle on danishes. Can use a pastry bag, if desired. 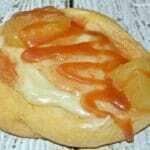 Apple Cheese Danish-ALSO with Crescents!! 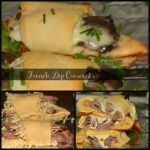 For other fabulous crescent roll recipes visit my friend Lisa at Incredible Recipes!!! Love the idea of mini’s. No guilt in eating them…..lol. Must try these. 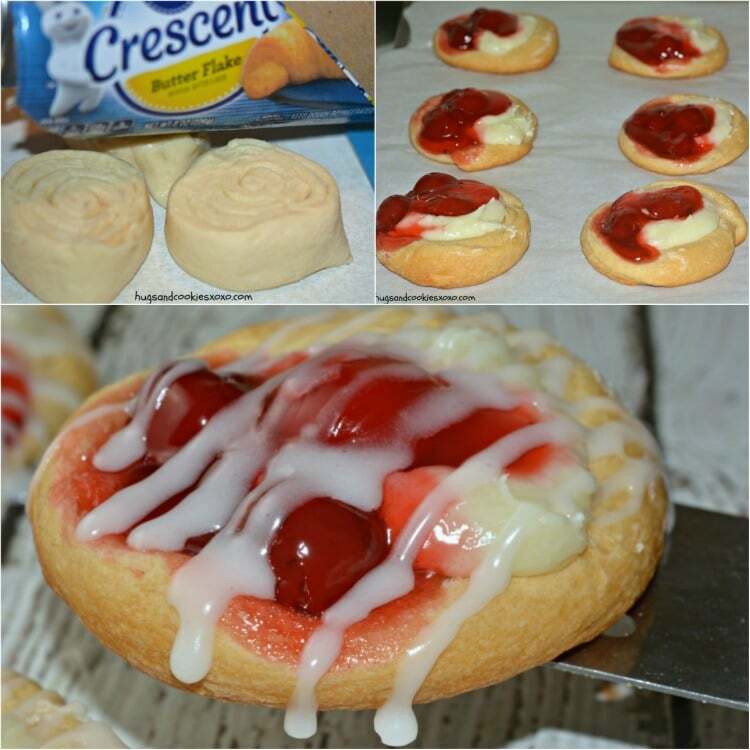 i’m from Portugal and i don’t have that Pillsbury Crescent Rolls, how cant i do that cookies? am from Portugal, Can you make your own dough?? 350 for 18 to 20 minutes. Golden brown color. These little pastries look delicious but I do have one question, Im wondering if I could use Blueberrie or Blackberry Pie Filling ? I think it would be nice to make different kinds for the Holidays. You can use any fruit pie filling. Try almost all pie fillings. I was thinking the same thing. I think I will try them with blueberry filling. 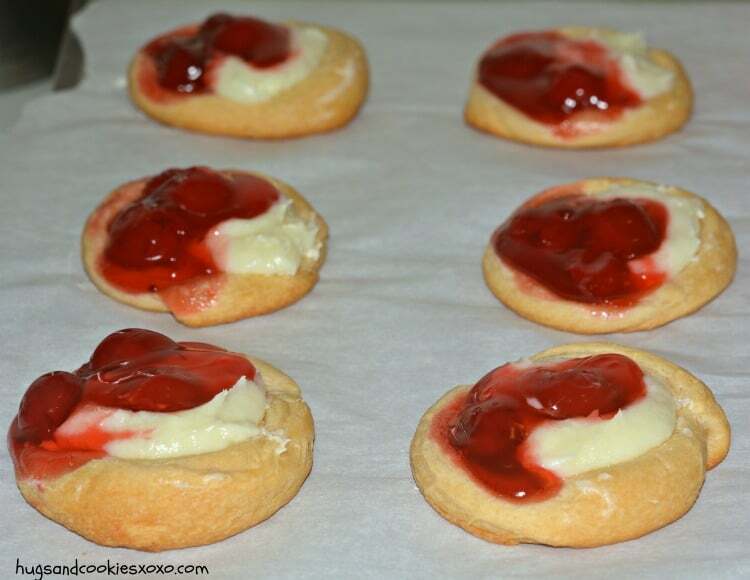 Plan to use strawberry filling instead when I try these tomorrow. I’m going to try these with blueberry topping. Love this. Been wanting to make cinnamon rolls and this will save me time and energy. Thank you. These look amazing! Adding to my “must try” list! Thanks for sharing. This is Thanksgiving morning breakfast treat!!! This will work great!!! I may have to make the apple and throw in some alteration with Peach pie filling! Thank you so much!!!! OMG I have three words for these…ah-MAY-zing! Very good and easy to make. Made them for church get together, and everyone thought they came from a bakery! How much exactly is a “splash of vanilla”? U r not unrolling them. You are slicing it like a roll of cookie dough. 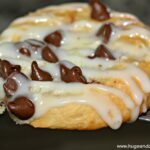 Can these be made ahead of time like the night before? Loved these. I made them for Thanksgiving Bfst. Next time I will half the sugar in the cream cheese mix and put on less glaze. 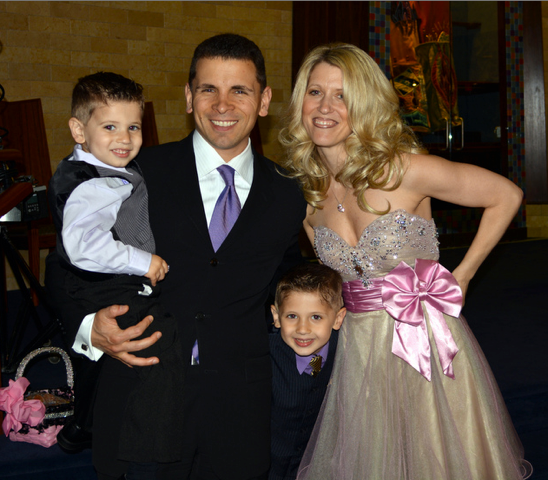 Family lived them but talk about a sugar rush. Definately going into my recipe box with the adjustments. 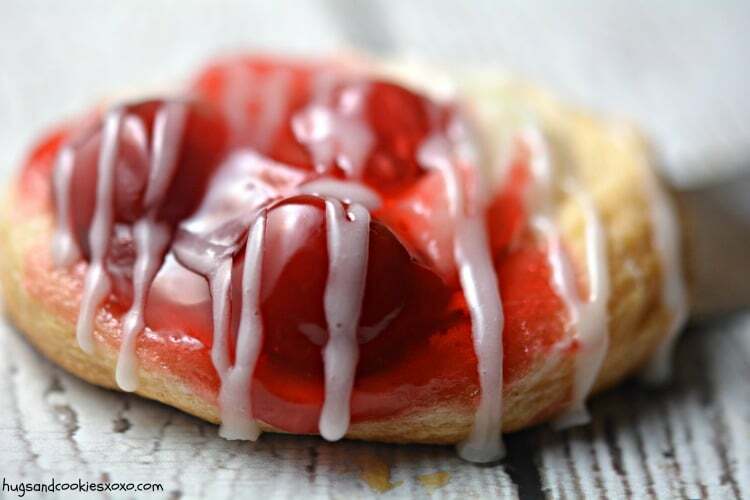 I would also try these using Apricot pie filling or preserves, as it is a favorite of mine. 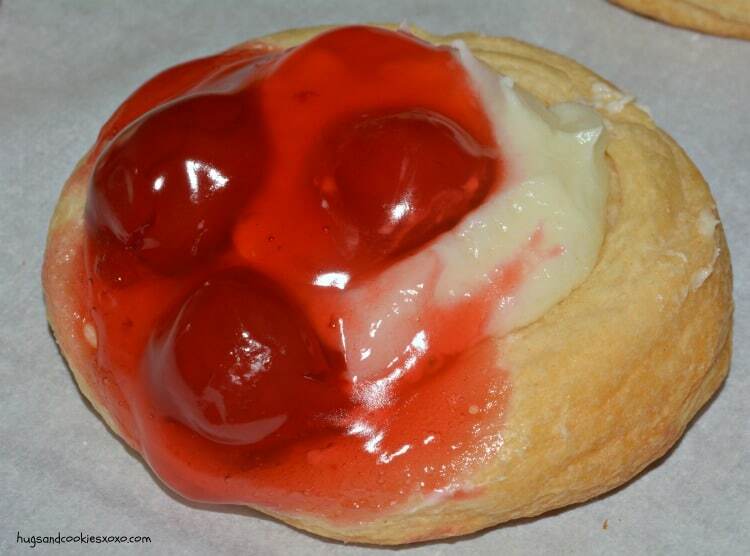 And on a few, I would omit the fruit filling and make just plain cheese danish. Many people like it that way too! I would love to make these ahead of time and freeze them for Christmas morning. What would be the best way to thaw these? Can I make my own biscuits instead of Cresent rolls? Are you using the small or grand crescents ? Hard to tell in pics. Want to try these tomorrow..they look delish ! Tried these this morning, with a couple of changes, they were delicious! Omitted the cherry filling and icing (seriously too much sugar!). Went with organic products on others, as we try to avoid GMOs, and other bad ingredients. 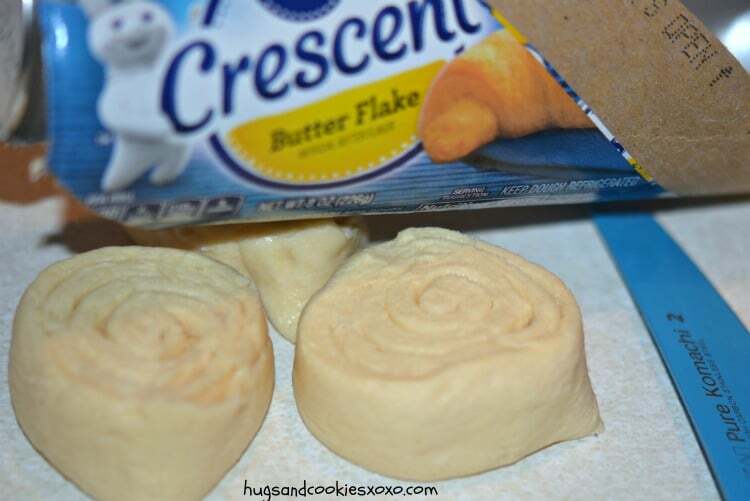 As such, we needed two packages of Immanuel brand crescent rolls, as they are smaller than Pillsbury. True minis! Can I use jelly if I don’t have pie filling? 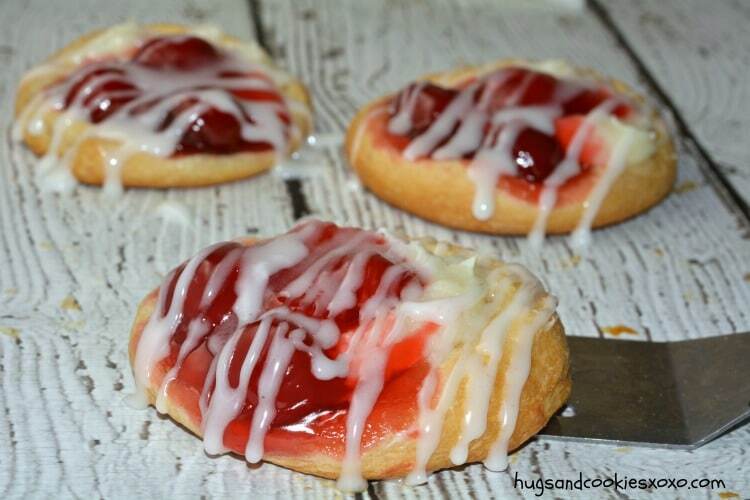 These are so easy and quick, and might I add delicious! 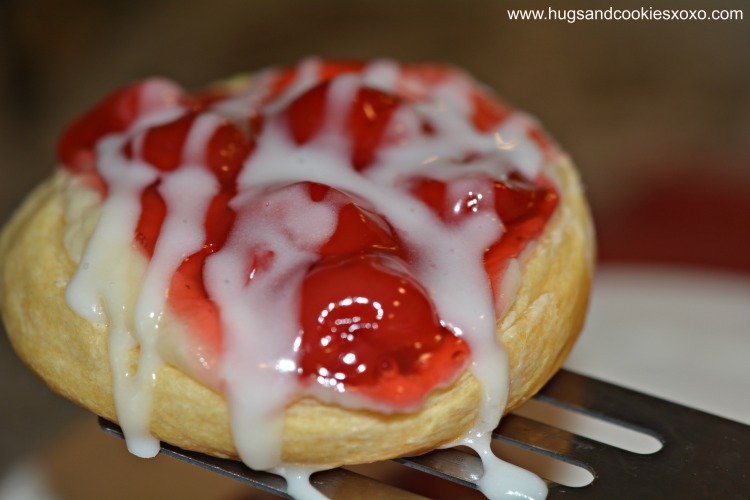 I taught my son so now whenever he feels like it he can have his favorite fruit danish. What a great kid friendly recipe! 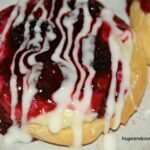 Could pecans be used for nut Danish? Any prep before you use pecans? Second time making these this time I made them in a cupcake pan. Yummy!! At first, I loved this idea. Couple of suggestions, press the dough really hard I guess, all of my toppings came off due to rising of the dough. Also, not a fan on how much expensive material is wasted unless you make several batches to use up the pie filling and cream cheese. We are not fans of cheesecake, could we just replace it with more cherries? I sometimes use pie filling for tarts, just adding a can of drained cherries to the pie filling so that it has more fruit and less sauce. LOL, I do use the cherry juice in other things. What can be used instead of cream cheese? Mascarpone cheese maybe? or jam? nutella? Just made these & they were great! I got 12 instead of 10 & they were perfect size. I didn’t have pie filling so I put a cup of blueberries in a small saucepan with 2/3 cup of water & 1 tsp sugar, brought to a boil then added a slurry of 1tsp cornstarch & water to thicken. Perfect blueberry topping! I used a roll of cinnamon rolls, so yummy.